“There are some technology changes that absolutely require a rip-out-and-replace, to be blunt, and this is one of those changes,” said John Binder, director of wireless operations for Trimble’s Transportation Mobility division, formerly known as PeopleNet. Exponential growth in the use of wireless devices is forcing a transition, now underway, to a cellular network capable of speedily handling the volume of transmissions in the “big data” era, and to cope with more anticipated volume in years to come. Cellular carriers are reallocating spectrum from their older networks to a network called Long Term Evolution, or LTE. In-cab communications and tracking systems used by many fleets rely on the older 2G and 3G networks, such as CDMA (code division multiple access), which are being phased out. PeopleNet launched LTE-­compatible products in January 2017, Binder said. Features such as a Wi-Fi hot spot in the truck cab and browsing are much better supported by LTE, he said. Devices that work on older networks are going to have to be replaced, said Henry Popplewell, president of trailer tracking vendor SkyBitz. “Depending on who the service provider is, it could be ­pretty shortly,” he said. Most in-cab and other telemetry devices have an integrated cellular radio that can’t be upgraded without replacing the entire unit. Popplewell said the change mirrors what happened with cellphones. When carriers launched 4G LTE, older phones with their integrated cellular radio had to be discarded and consumers had to purchase phones with the newer radio technology. The same will be true for in-cab platforms that aren’t modular, Popplewell said. The products with SIM cards are a telematics control unit and ZTrak, a tracking product. The SIM cards contain a 3G chip, Haughton said. The control units containing the 3G chip are sealed, she noted, a manufacturing standard for durability that negates the option of replacing the chip. But the older control units can be unplugged and new control units with a SIM card that has a 4G chip can be plugged in, she said, adding that the new unit is the same size and shape, simplifying the upgrade. Zonar now is selling 4G versions of its products, Haughton said, and is maintaining its installed 3G products until the sunsetting is completed. The degradation of the older networks is underway and will occur gradually, the vendors said, as the cellular providers enact the sunsetting according to their respective schedules. Degradation of the CDMA network is difficult to detect as wireless carriers shift spectrum from old technology (2G/3G) to new technology (4G LTE), Popplewell said. With the migration from 3G cellular networks to 4G, and resulting need to upgrade onboard hardware, fleets have an opportunity to rethink and streamline their technology strategy. SkyBitz likened the transition to a multilane highway that is gradually restricting the available lanes that slow vehicles can drive in while allocating more lanes exclusively to faster vehicles. As long as the number of slow vehicles decreases to match the reduced capacity of the available slow lanes, drivers of slow vehicles don’t notice that they actually have fewer lanes to drive in. Verizon halted activation of new 2G/3G units in the middle of 2018. “They effectively moved to stop the production of slow vehicles so that they could start reducing the lanes without anyone noticing,” SkyBitz said in a statement. SkyBitz trailer tracking runs largely on the AT&T network, but other SkyBitz products such as tank monitoring systems are affected by the Verizon sunsetting, Popplewell said. Telular, the parent company of SkyBitz, received a multiyear extension from Verizon. Under that agreement, Telular and SkyBitz can disclose the length of that extension only to customers, Popplewell said. Not all cellular providers have disclosed their plans for sunsetting, vendors pointed out. “It seems like AT&T and ­T-Mobile are staying on [the older networks] a little longer,” said Steve Mazur, director of government sales for Digi International, a supplier of telematics devices based in Minneapolis. “[Users of 2G or 3G devices] probably have a year or maybe two, three at most, before those devices will need to be replaced,” Mazur said. A benefit of implementing 4G is that it is designed with forward-compatibility, meaning users of 4G devices will be able to take advantage of future technology introductions without having to go through the steps required for this upcoming phaseout, Mazur and others said. 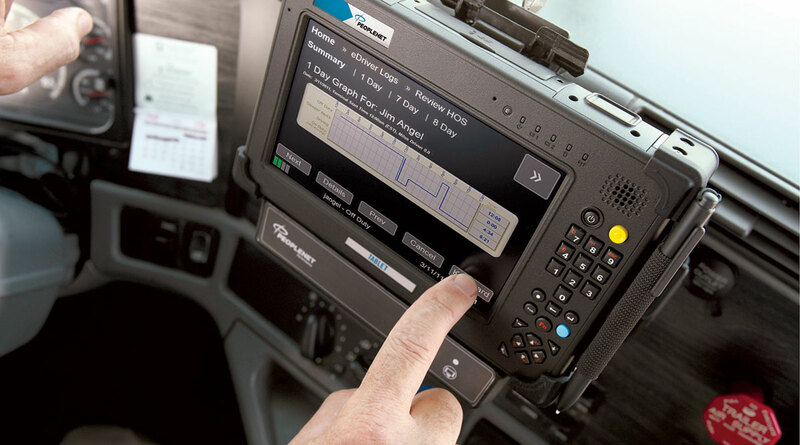 At the same time, truck manufacturers in recent years have begun embedding telematics hardware in their vehicles to support remote diagnostics and connected vehicle services. It offers a single integrated and aligned understanding of time, location, and driver and vehicle performance, the companies said in an October announcement.